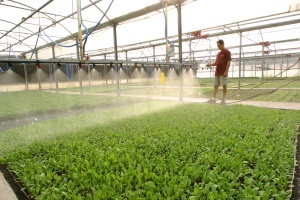 The EAFRD has supported the final stages of a major modernisation programme at a leading seedling nursery in Cyprus with co-financing for the installation of a modern new ‘smart’ irrigation system that is both saving costs and conserving water. 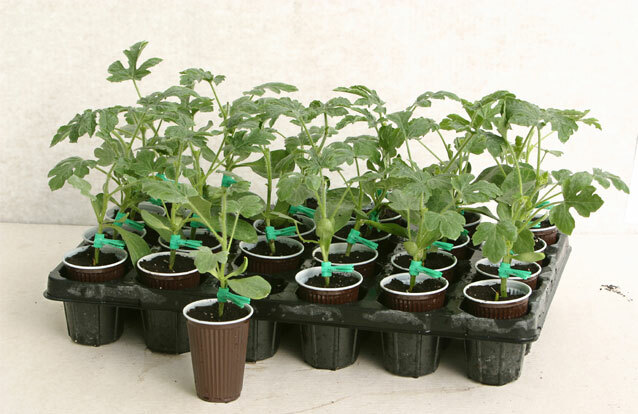 Solomou Nurseries were established in 1985 and since then have been both a pioneer and a market leader in Cyprus for seedling production for vegetables, ornamental plants, herbs and cut-flowers. In order to respond to a growing demand for their products, the owners decided to extend the existing production unit in 2004. At the same time, it was considered necessary to replace existing equipment which was outdated and costly to maintain. The Nursery undertook this investment project with the following objectives: 1) To upgrade the existing infrastructure with new buildings and modern technology in order to increase productivity, improve the quality of outputs and reduce costs; 2) To protect the environment with the application of new, environmentally friendly technology, and; 3) To improve working conditions. Plans were drawn up for a quality-driven programme of modernisation that started in 2005 and was finally completed in 2010. The main activities with EAFRD funding since 2007 focused on the installation of new systems and machinery. A new greenhouse and working space were built together with an extensive new 'smart' irrigation system, including specific components for i) automated desalinisation of underground water; ii) collection of rain water, and; iii) waste water collection and treatment. EAFRD support has helped to significantly improve the nursery’s ability to use water wisely. Productivity costs have reduced and product quality has been improved. In the words of Mr Marios Solomou, managing director of the nursery, “Our modernisation programme has been good for business but also good for the environment because we are saving and collecting more water than before”. Additional benefits include better working conditions for the health and safety of farm employees. The protection of the environment is possible with any modernisation project in the rural sector, even if the main objective of the project is to improve competitiveness.